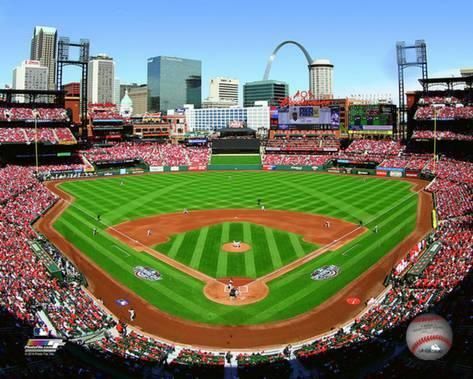 I was living in St. Louis in 2011 watching my favorite baseball team, the Cardinals, on TV every day. As the season dwindled down, I watched and worried and agonized with the rest of the city with 'fingers crossed' while our team fell further behind, ending up more than 10 games out with less than a month left in the season. As we went through September, the Cardinals came close to catching up, but every one of the last 5 games of the regular season was an elimination game. In "One Last Strike", Tony La Russa, the third winningest manager in baseball history, takes us through his Cardinals' 2011 season, which was also his last season as a baseball manager. He describes how the team came from ten and a half games back to make the playoffs on the night of the final game of the season and how they went on to win the World Series despite being down to their last strike 'twice' in a comeback like no other! At the beginning of September 2011, not even Tony could have foreseen the magical and memorable ride the Cardinals were about to take. You don't need to be a St. Louis Cardinals fan to enjoy this book. Any baseball fan will love the 'behind-the-scenes' look into how a manager makes game by game and inning by inning decisions to bring his team to a win. The Cardinals had to have those 'wins' over and over to first make it to the playoffs, and then to the World Series in this hard-fought 2011 baseball season. Tony La Russa describes how he used his 33 years experience managing baseball teams from the Chicago White Sox to the Oakland A's to being the St. Louis Cardinals' longest serving manager to bring the Cardinals to their final game of the World Series .. and win. He gives great credit to team unity and determination. La Russa had simple rules as manager. Don't do something to lose the game when on defense. Do something to win the game on offense. Be good enough and tough enough... and keep believing. In a team meeting prior to the beginning of the 2011 MLB Baseball Playoffs, La Russa tells his players that sports are unpredictable. The best team or player can have an off day. Just come in as prepared as you can be and play the best of your ability. Tony La Russa talks about his book "One Last Strike"
Additional stories about manager Tony La Russa and his analytical manager mind applied to a game. Written by Buzz Bissinger, author of Friday Night Lights, Three Nights in August: Strategy, Heartbreak, and Joy Inside the Mind of a Manager is about a three-game series between the Cardinals and Cubs in 2003. 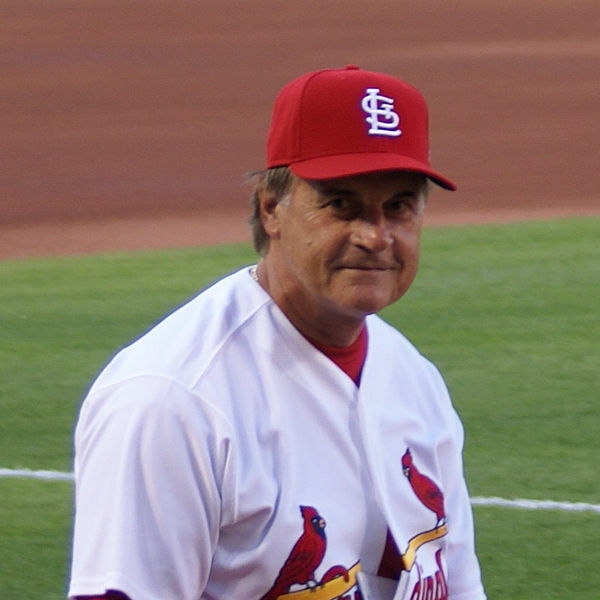 It describes manager Tony La Russa's decisions for each batter and each inning of this 3-game series, based somewhat on computer data, but more importantly his experiences managing nearly 4,000 games. If I were to create my perfect 'Dream Team' for the St. Louis Cardinals, using players from the past to the present at each position, this is what it would look like. Your Review This Baseball Contributor and Article Writer, Wednesday Elf, is a Big Baseball Fan! When I'm not 'watching' baseball... or 'talking' about baseball, I love reading books about baseball. It was great fun to relive the St. Louis Cardinals' magical 2011 season through the eyes (and words) of manager Tony La Russa. What a wild ride he had in his final managerial season! "One Last Strike" is their story. I enjoyed it as much as I enjoyed being part of the St. Louis Cardinals 2011 season while living in the team city! Article Originally Written © 2014 Wednesday-Elf. Updated for Review This! Blog on 3/1/2018. Your baseball book review makes me want to pack up and head to the ballpark. I love that a baseball game can change direction so quickly, and when you least expect it. 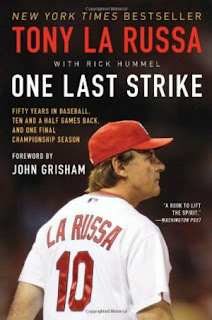 One Last Strike sounds like a great book to read during the season or, maybe especially, off season. Thanks, Susan. Off-season is when I keep my baseball fandom going by reading books about baseball and watching baseball movies. You know there are only Two Seasons as far as I'm concerned (as quoted by Bill Veeck) 'winter and baseball'. LOL. Based on your review, it looks like Mr. La Russa offers some real pearls of wisdom that would be applicable to anything we do in life. 2011 was clearly a really exciting year for the Cardinals. One that will long live in the minds of the players and the fans. It is nice to be able to relive it through the pages of his book and to learn about all of the background decisions made one at a time that culminated in a World Series win. It was quite a fascinating read, Mouse, especially to a baseball fan who also happens to love the St. Louis Cardinals. I was SO glad I was living in St. Louis in 2011 and was able to experience first hand the whole marvelous event. The excitement in the city throughout the playoffs and the World Series was unbelievable, as you can well imagine. Thanks for a great review Elf. This is a book I have bought for a gift for my son. He is quite the baseball fanatic. With the season we're having this year wouldn't it be great if we had a repeat of 2011. GO CARDS!!!!! Elf, I'm not much of a sports fan, but I sure do love how much you love baseball. You have me tempted to read this just to see what goes on in the dugout and during the game. Good review! A good baseball or sports story is well worth reading, Dawn, even if you are not a sports fan. Always fun to learn the background of a player or a bit about team history. Thanks for visiting my baseball story. Any team could come from behind to win, Barbara. Your Blue Jays are currently 13 games back in the American League East, but there are about 6 more weeks of the season left. Good luck to them. Well Mary Beth, I'm married to a Baseball-holic (is there such a thing?) I was never into that sport so much, but next week I am going to my first live ball game here. I'm pumped (is that the right terminology for baseball?) Looking forward to seeing this first hand and maybe getting into the excitement over the game. Thanks for this review, I remember my other half watching this series with admiration, concentration and ultimately happiness for the team and it's retiring manager!